Please call owner Cindy at 973-219-0182. Boat Location: Old Saybrook, Connecticut. 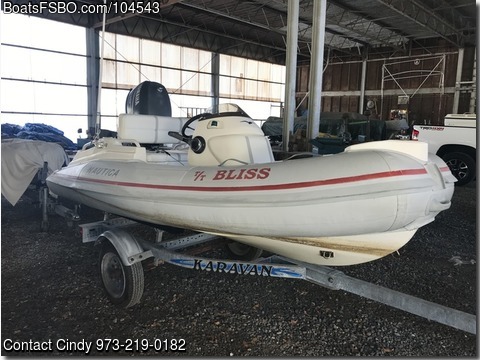 2003 Nautica Tender with Yamaha Engine 20 horsepower 4 stroke. Bilge pump VHF radio full helm with gauges and controls and compass . Helm seat bow seat running lights 10.4 ft length . "The mini yacht of dinghys Runs like new.